Every two weeks we make small revisions to our dinner menu. This allows us to give you a variety of different options here at the Honey Creek Inn. In addition, we are able to incorporate unique and seasonal items into our every day menu. 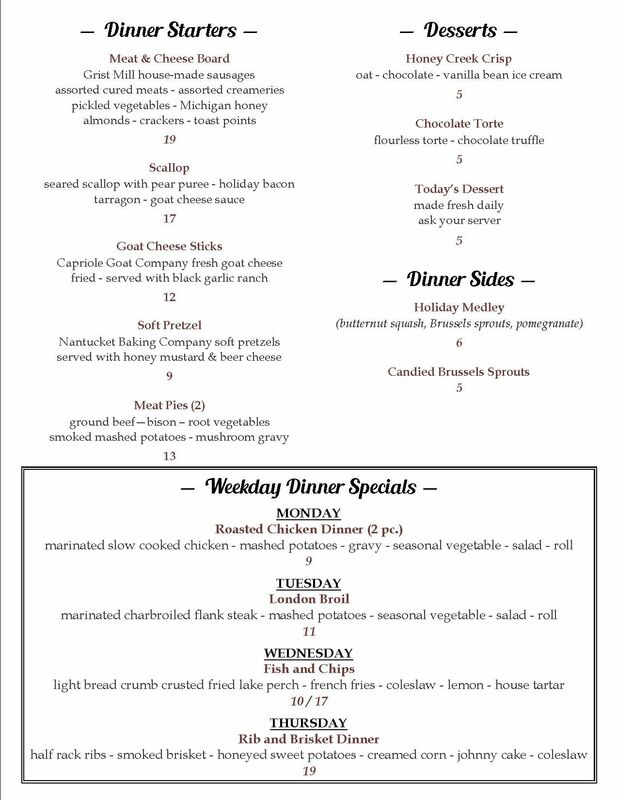 For the next two weeks we will be featuring some exceptional comfort food type of dishes. These includes Bison Meatloaf, Quail and Scallops with Pork Belly. 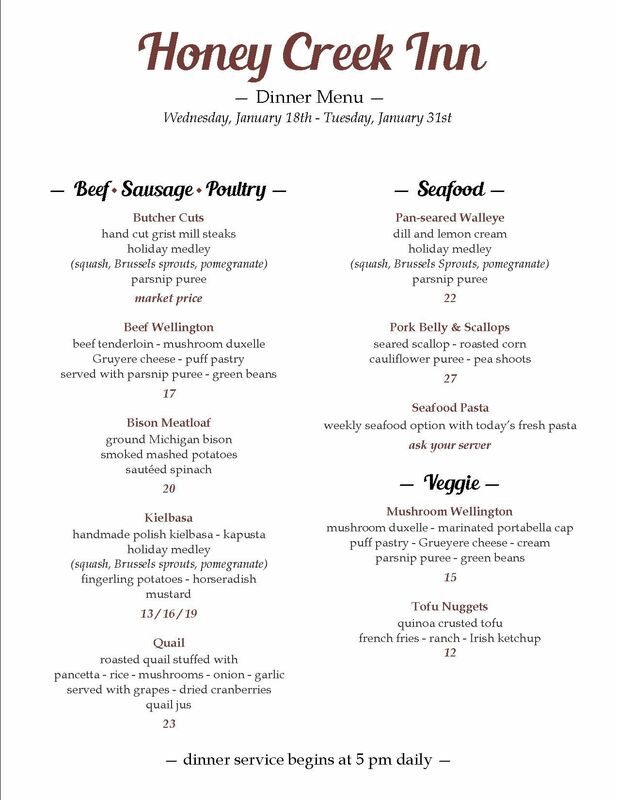 Check out the entire dinner menu here OR download a copy here.